my stereo. What should i do? 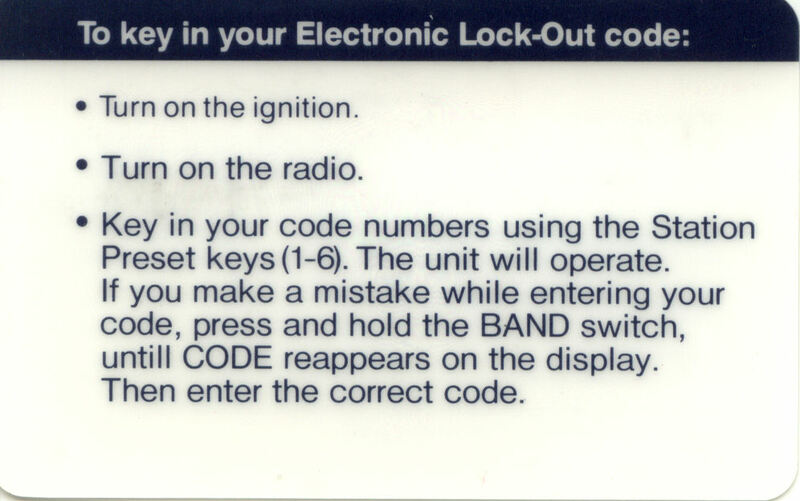 4) Key in your code numbers using the station preset keys (1-6). After last digit is entered, release DNR switch and unit will operate. and enter the correct code. 3) Key in your code numbers using the Station Preset keys (1-6). The unit will operate. CODE reappears on the display. Then enter the correct code. 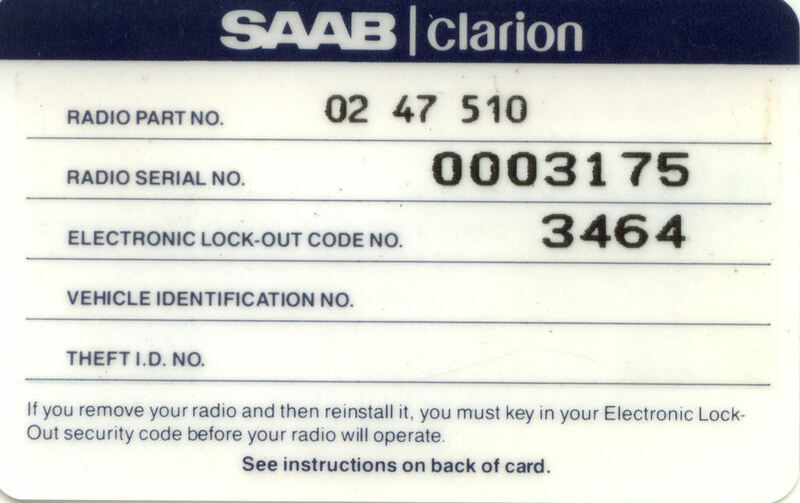 I lost my code to my Saab Clarion stereo, can this site help me? Unfortunately not, you have to contact a SAAB dealer in order to regain your lost code. Sorry! European frequencies on the radio? This was only possible on MY90-91 on Generation2 and all Generation3 (MY92-94) out of the box. Check the Manuals for more info! my Equalizer MYyy, does it work?